Posted in: Insects, Snails & Slugs. Tagged: Agriculture, Animalia, animals, Biology, Flora and Fauna, Gastropoda, Mollusca, Nature, outdoors, photo, Photography, picture, Snail, Wildlife. I found this snail creeping along the ground during our hike yesterday. This is one of the first snails I’ve seen this year. Posted in: Insects. Tagged: Animalia, Biology, brown, bugs, Flora and Fauna, green, Insecta, insects, Nature, outdoors, stump, travel. 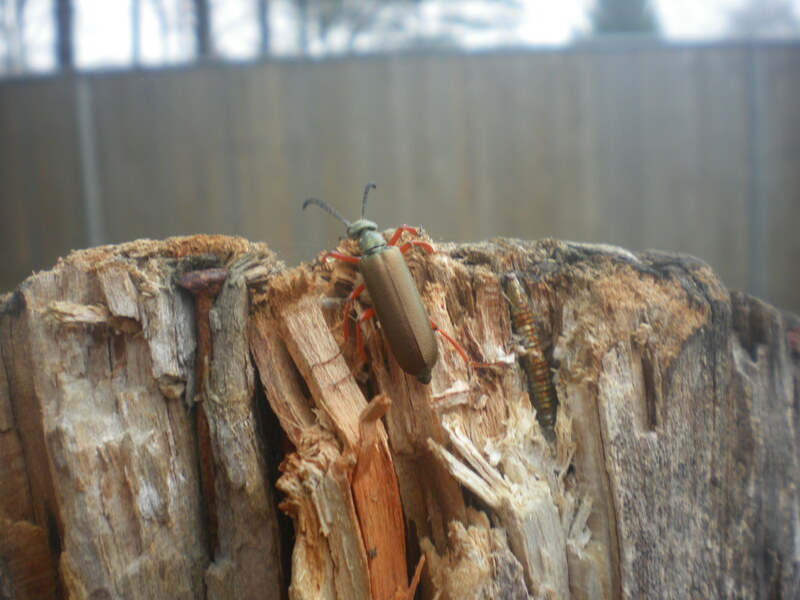 I photographed this bug climbing up a stump in our back yard.